Happy First Day of Marathon Training! Those numbers are going the wrong way! This morning I decided to flip that around. I started off pretty slow and gradually built up speed. By the end I was feeling pretty good! 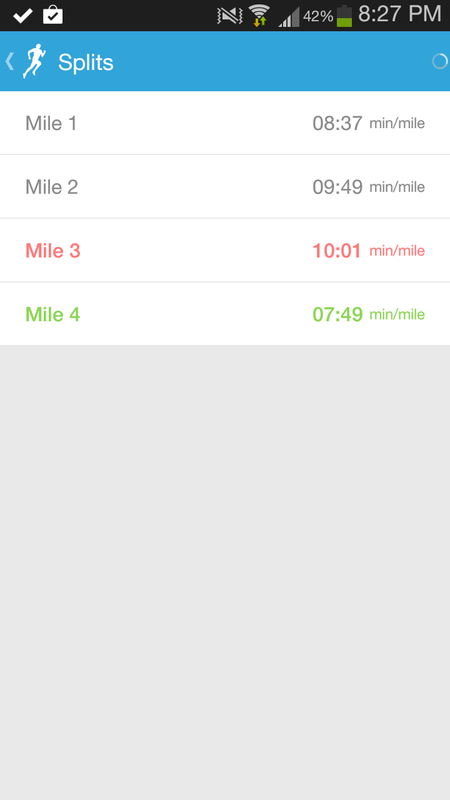 When I checked my splits this time, they were perfectly negative! Much better! 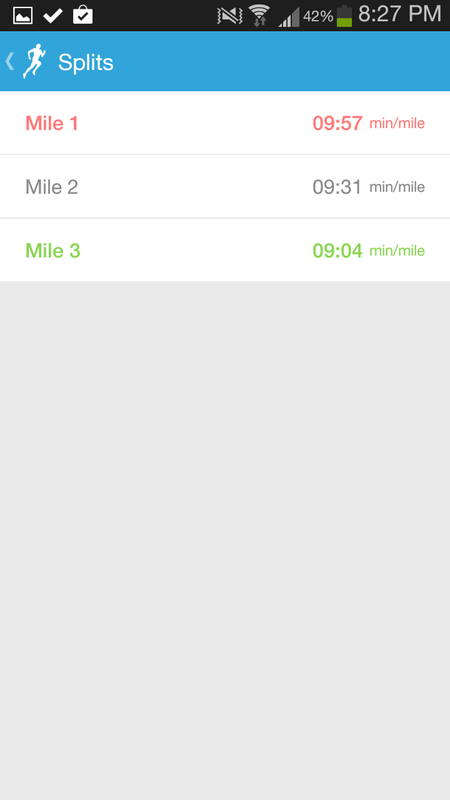 Going on from here, I’m going to try and stick with a 9:30 pace for my weekday “easy” runs with nice negative splits. That’s the goal at least. I should touch on my little binge for a second. I failed miserably this afternoon. I got too hungry because I had to run a bunch of errands during my normal lunch time so I was starving when I got home. I have two smallish chocolate bars and a fun sized York Peppermint Patty before I stopped myself. It could’ve been worse, but I felt gross, bloated, and groggy afterward. I’m going to try and remember that next time I want to binge. I feel so much better when I eat well! I briefly mentioned fund raising earlier. I’m raising money for World Vision to build wells in Africa. $50 is enough for one person to have clean water for a lifetime. That’s the short version. Pretty soon I’ll try and get all of my thoughts together about my commitment to World Vision and their cause. In the meantime, if you’re feeling like you want to support me in my training regardless of my deeper thoughts, opinions, and emotions tied to this cause, you can visit my fund raising page and donate online. Anything you could give would really be an encouragement for me! Thanks! ← An Update One Week In. Hey! I just wanted to comment and say good luck training for your first marathon! I too am training for my first marathon (chicago this october) with DetermiNation. I am full of emotions! Maybe we can keep in touch – keep each other motivated! A lot of my friends cant fathom running a marathon so having someone who understands – even through a blog would be great to have! Hey Ashley, Thanks for stopping by! I’ll be running the Chicago Marathon too. Hope you have a great training season!